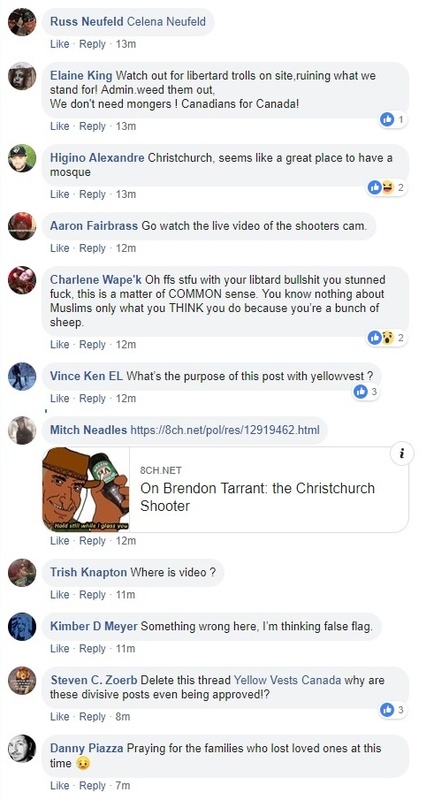 Yesterday I posted an article detailing a thread on the reactionary Yellow Vests Canada Facebook page which discussed the murder of 49 worshipers at two mosques in Christchurch, New Zealand. 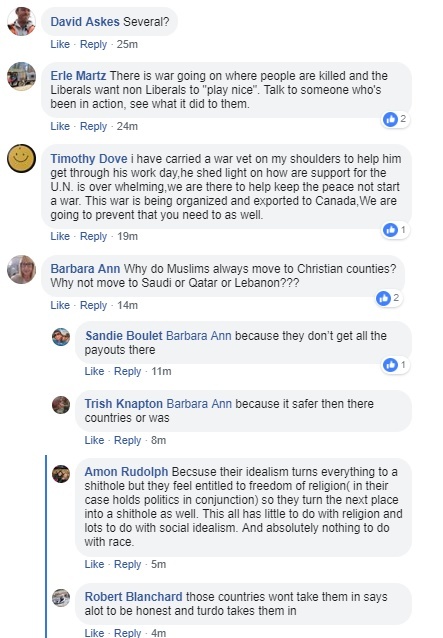 Given what has been published here and by others (Yellow Vests Canada Exposed and the Canadian Anti-Hate Network) readers will hardly be surprised that the thread consisted primarily of celebratory comments with a minority of posters who voiced their disapproval. 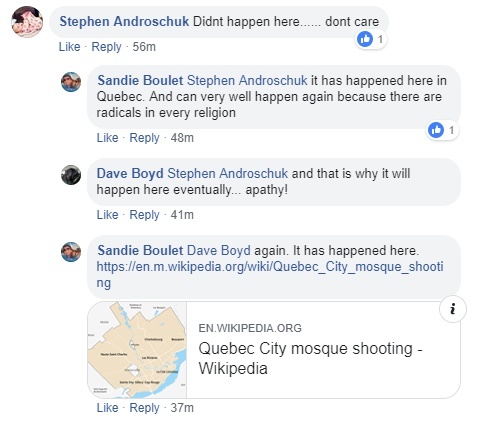 ARC readers know full well that this bigotry, a spreading virus world wide through social media, isn't isolated to the supporters of Yellow Vests Canada or other Yellow Vests supporters in Canada. 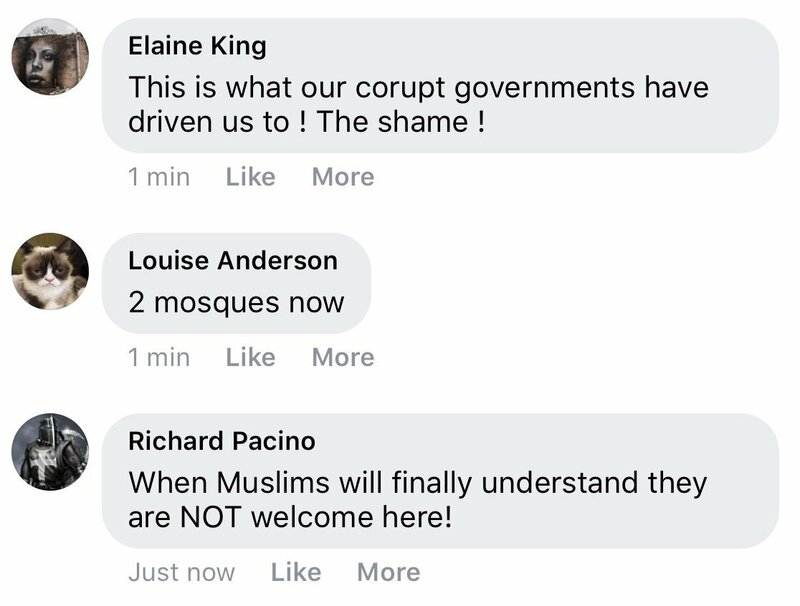 It didn't take long for other groups that ARC monitors to start commenting on the murder of 49 Muslims. Many of the comments were also celebratory. 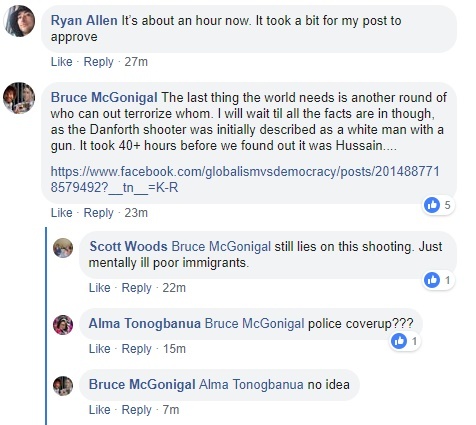 Some attempted to justify the murders while other started the "false flag" or "the Muslims did it themselves" claims that have become all too common when such horrible events occur. 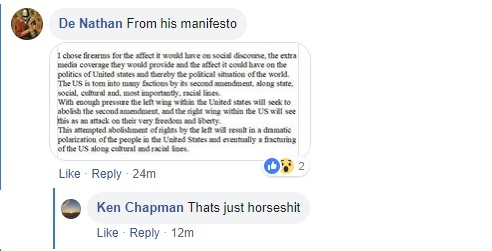 Of course there are the claims that the shooter was actually a far-leftist in order to absolve the right of any culpability. 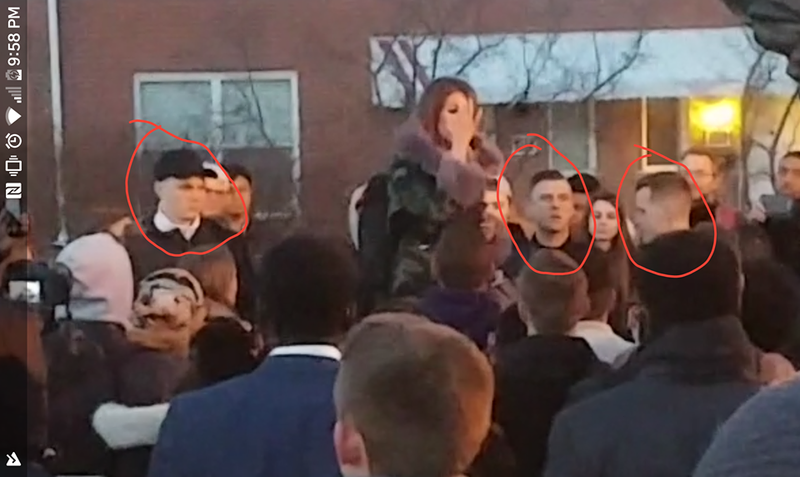 The QAnon fanatics have also gotten in on the act. 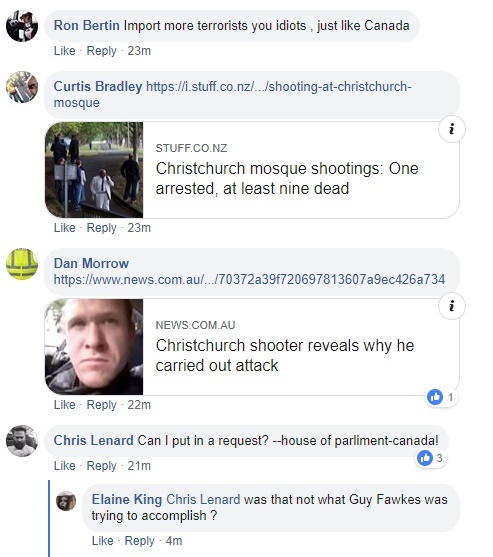 Finally, there are a few who have actually questioned the presence of mosques in Christchurch and have posited that their presence in the city was a provocation intended by Muslims to claim dominance over Christianity.... because the name of the city is Christchurch. I plan on adding to this later today. I just wanted to get the basics out. At this point I don't know how many have died, but I have heard of numbers ranging as high as 26. More information will be forthcoming. 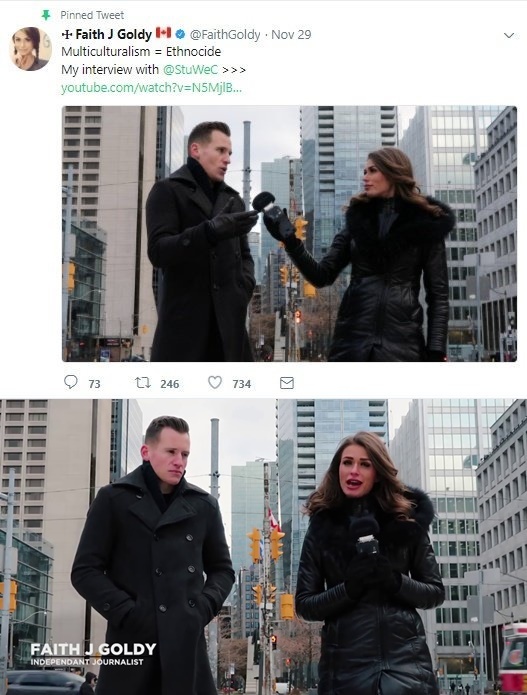 UPDATE: CBC is reporting 40 dead. 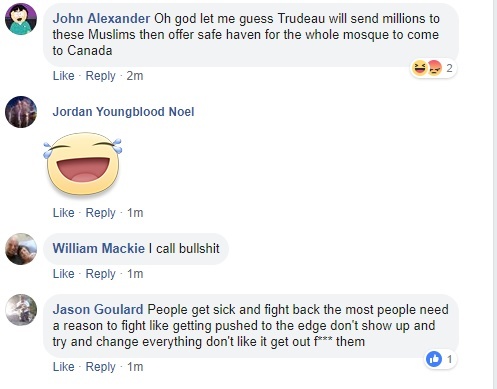 This is the Yellow Vest Canada movement. I'll continue this article tomorrow evening, but suffice it to say for now I'm not sure I could be more disgusted. You may see in the news today that our founder, Morris Dees, is no longer working at the SPLC. 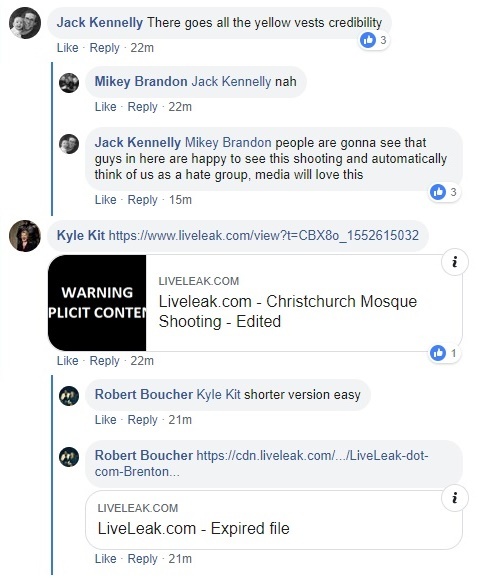 Just over a year after assuming control of the college-focused white nationalist organization Identity Evropa (IE), leader Patrick Casey said on Twitter that the organization “has been retired.” The announcement comes just days after the nonprofit media organization Unicorn Riot released the group’s Discord server chat logs. Florida state Rep. Anna Eskamani and Florida state Sen. Janet Cruz today announced legislation that would create uniform requirements to ensure that all Florida students can receive an education in school buildings that are structurally sound. 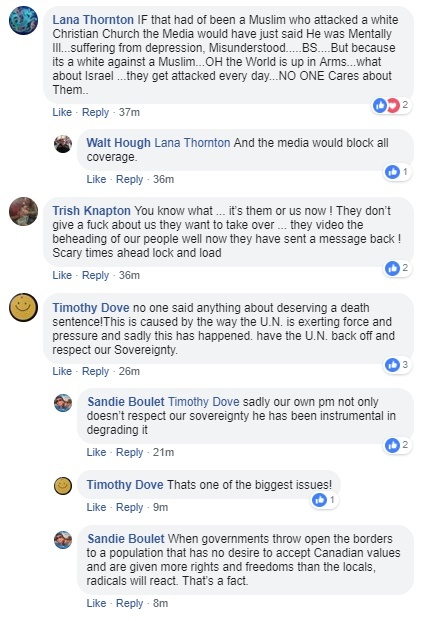 Sometimes there are no words to describe just how horrible the membership and supporters of the reactionary Yellow Vest movement in Canada truly are. Individuals from 30 countries died in the tragedy including a number of United Nations staff members and aid workers who were to attend an environmental summit in Nairobi, Kenya. The reaction of most thinking, feeling, humans would be varied. There would be some "but for the grace of God" reactions. Others might think about loved ones and how they would react if faced with the worst news imaginable. Some might also wonder about the safety of the class of Boeing 737s that were involved in this and another recent crash. 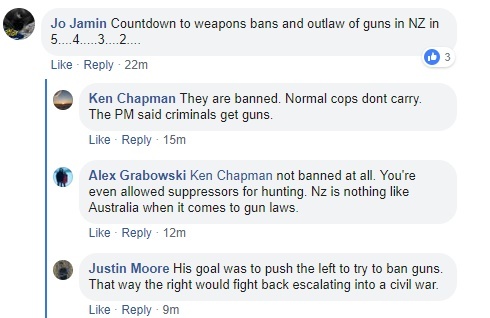 But I think that, almost universally, decent people from all sides of the political spectrum would feel deep sympathy for the victims and their families. 1. Ethiopian flight truthers. And if they aren’t truthers, they’re celebrating the loss of UN employees. 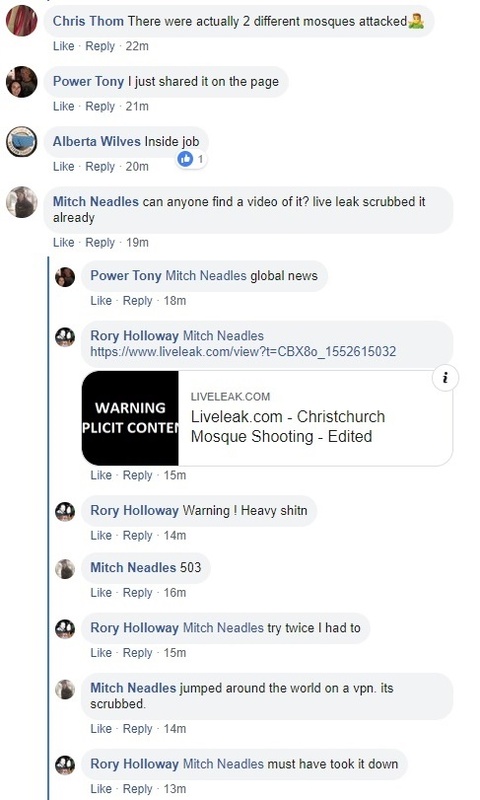 Just like with the Halifax house fire, these horrid people will take any tragedy and make it about them. 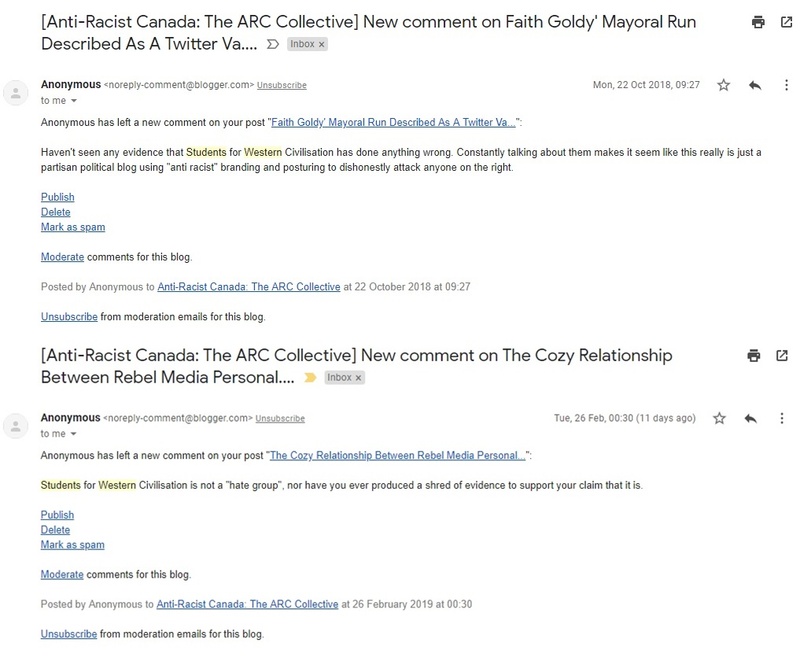 I've been involved in some form of anti-racism activism for more than 20 years now and have run the blog for almost 11 and a half years. It really is rare to shock me any longer. 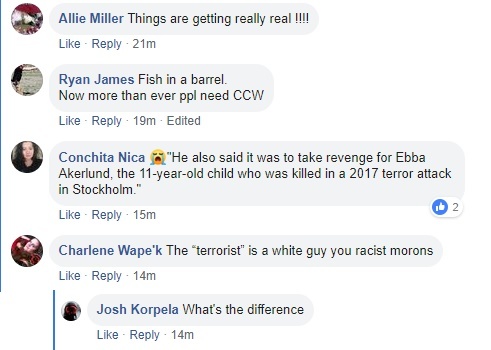 Still, the callous and thoughtless hatred of the Yellow Vest Canada reactionaries has me shaking my head. 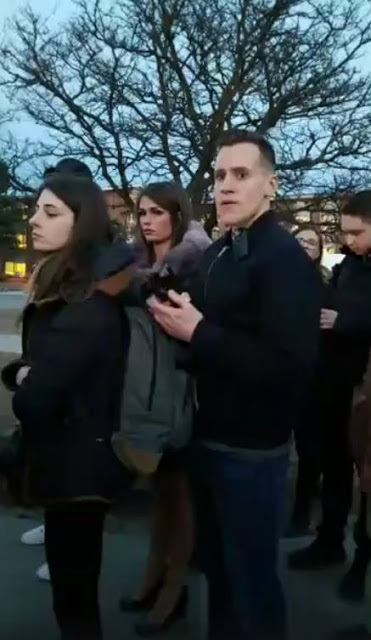 Alex McNabb, co-host of the hate podcast “The Daily Shoah,” was fired from his job as an emergency medical technician (EMT) on Sunday, according to WSLS, a Roanoke, Virginia-based NBC affiliate. 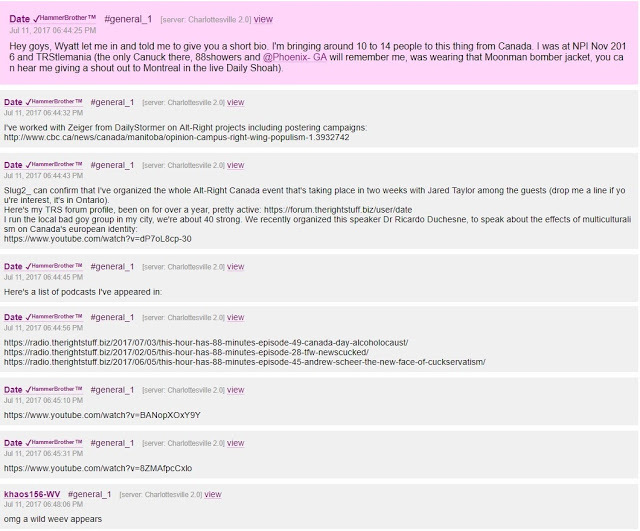 Last year the good people at Unicorn Riot released leaked Discord chats which featured some prominent Canadian extremists. First and foremost among these individuals was Gabriel Sohier Chaput posting as "Zeiger". 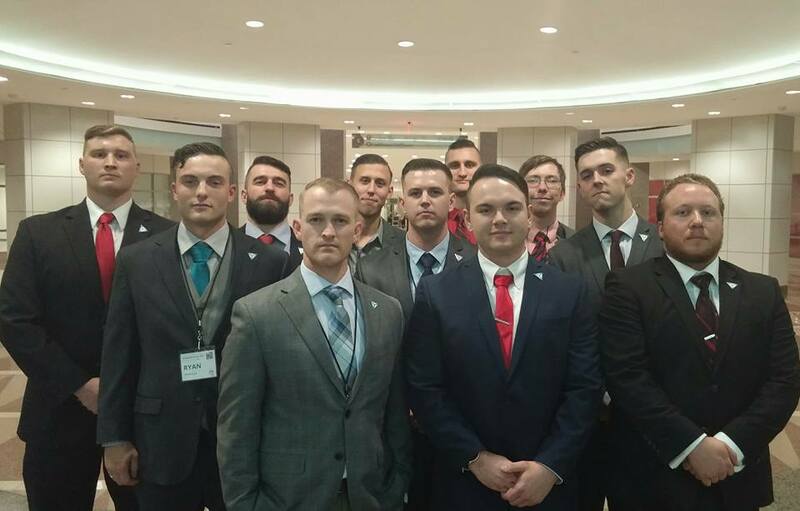 Until he was identified, Gabriel Sohier Chaput was a significant figure on the far-right as a propagandist for the neo-Nazi website "The Daily Stormer" (DS). 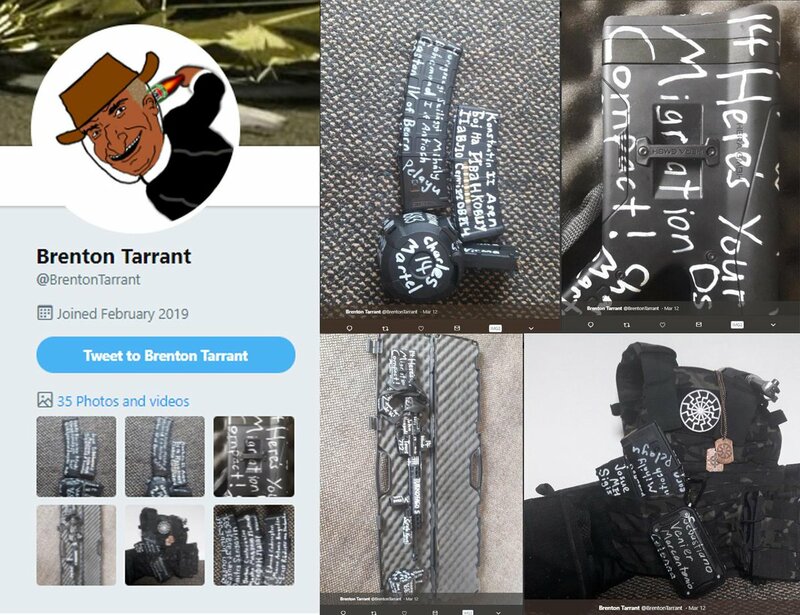 In that role he was second only to Andrew Anglin who founded the website. He has since gone into hiding and there is currently a warrant for his arrest. In the above discussion with use "Albo-HAMMERBRO" Sohier Chaput discusses the friendly relationship with Students For Western Civilization.